With full men power of our local distributor the installation started on several small fishing vessels parallel, just to get finished as soon as possible. The Government, especially the Department of Fishery is very excited to start the second step of this huge project to get all national fishing vessels equipped with the vmsTRACK-PRO units. Within the first project step all the small coastal fishing vessels had been equipped with the locating device vmsTRACK-PRO. 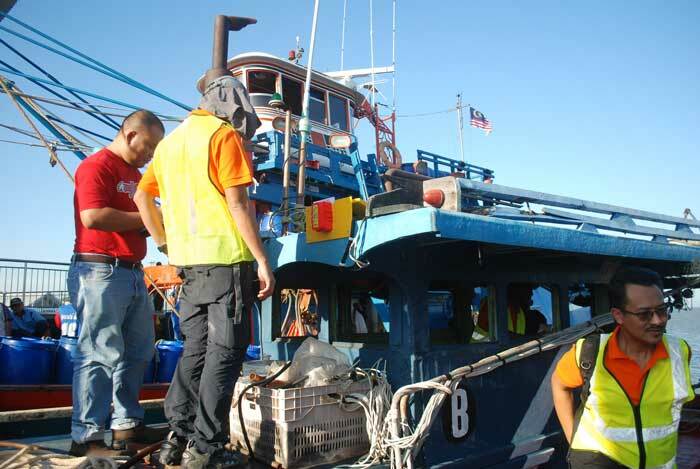 This next step is about the bigger fishing vessels to be monitored by authorities for regulation of IUU (illegal, unreported and unregulated fishing). The onboard installed vmsTRACK-PRO units are transmitting as regular AIS Class B units running with the CSTDMA (carrier sence time division multiple access) on regular worldwide standardized AIS frequencies. Important to know for authorities are different points: get to know where fishing was done, identify “friend or foe” vessels and to have “GEOFENCING” functionality for special or restricted areas. The members of the department of fishery came to the decision that the Weatherdock vmsTRACK-PRO units will fit most to their requirements. 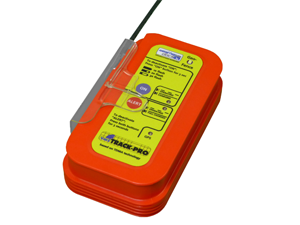 The vmsTRACK-PRO locating devices are working strictly according the AIS Class B regulations. For not overwriting any AIS emergency transmission or AIS Class A message, the vmsTRACK-PRO acts like “listen before talk”. That’s the reason because the units are allowed and approved to run on regular AIS frequencies. Due to the fact that Weatherdock has got a full range of AIS based navigational equipment like AIS transceivers and AIS receivers, as well as AIS SART and AIS MOB emergency transponders, the many years of experience with this technology was put together into the vmsTRACK-PRO. With this experience in radio technologies, Weatherdock is well known by maritime authorities all over the world for best performance, highest possible quality and cost effective solutions on the point.